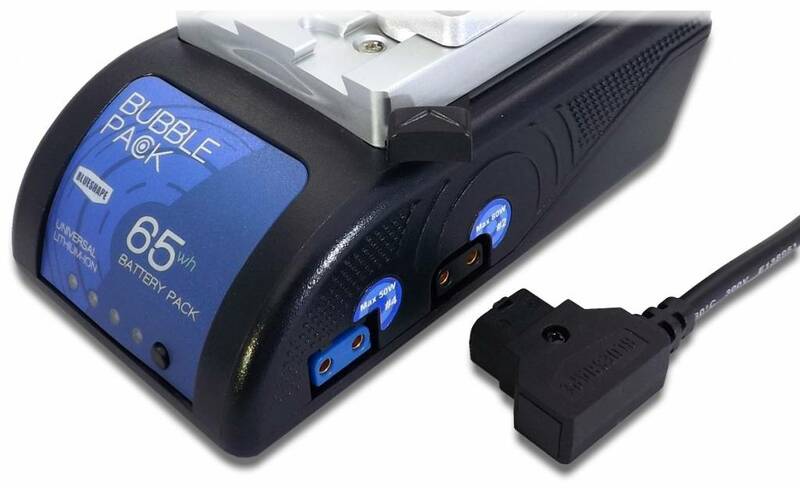 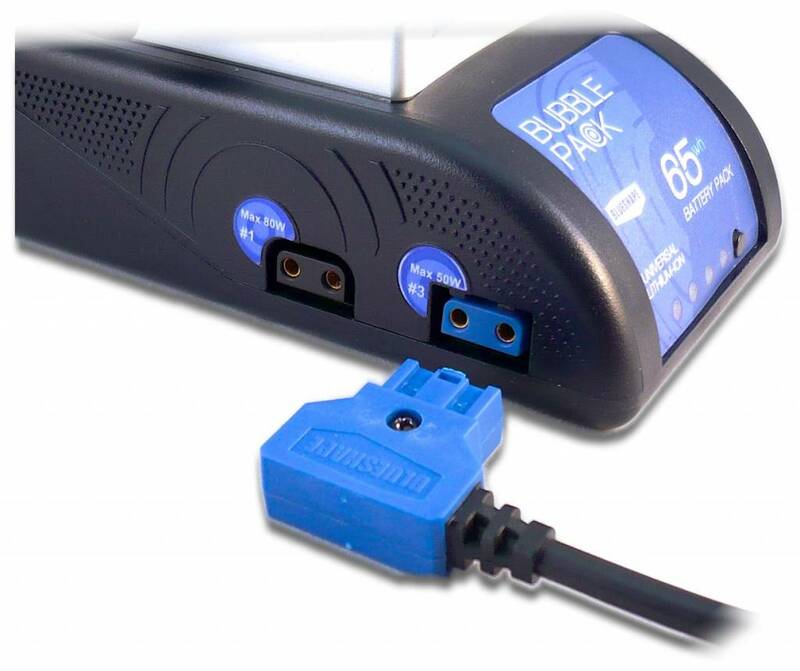 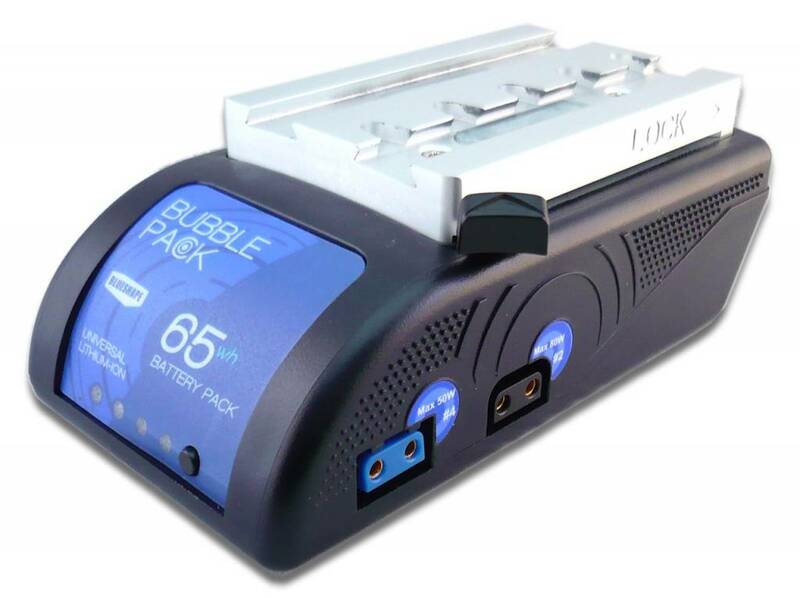 The BLUESHAPE BUBBLEPACK 65 Wh Lithium-Ion Battery Pack provides several flexible rigging options for equipping your camera with a larger capacity power solution. 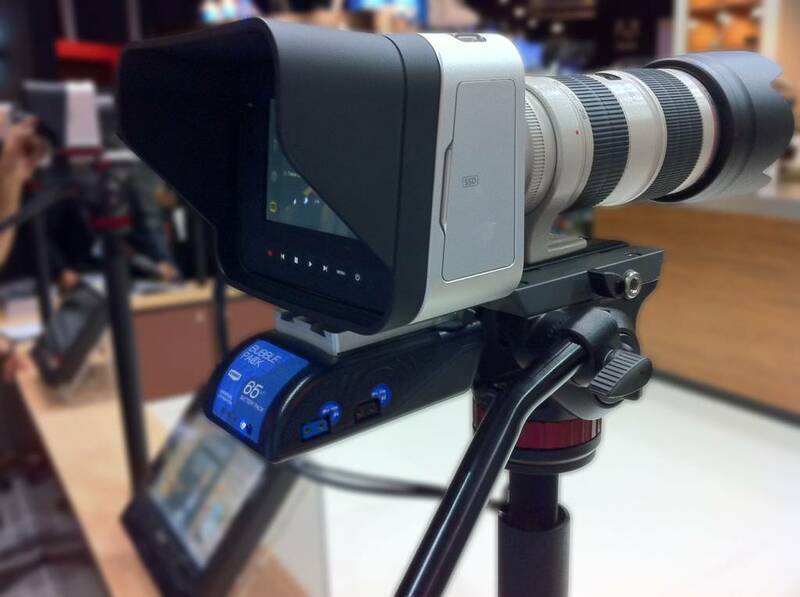 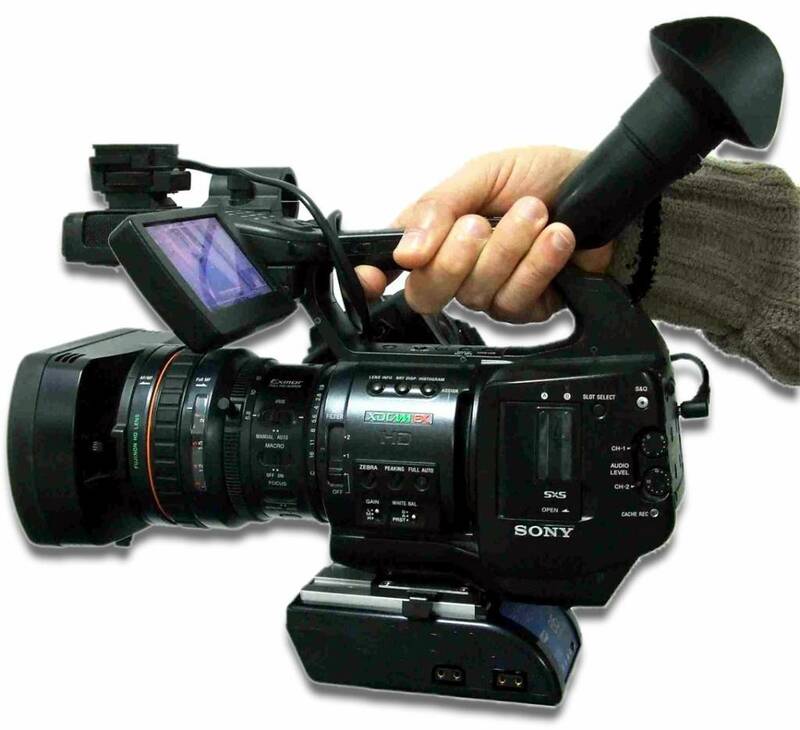 It features a 65 Wh capacity and is intended for small to medium-sized productions. 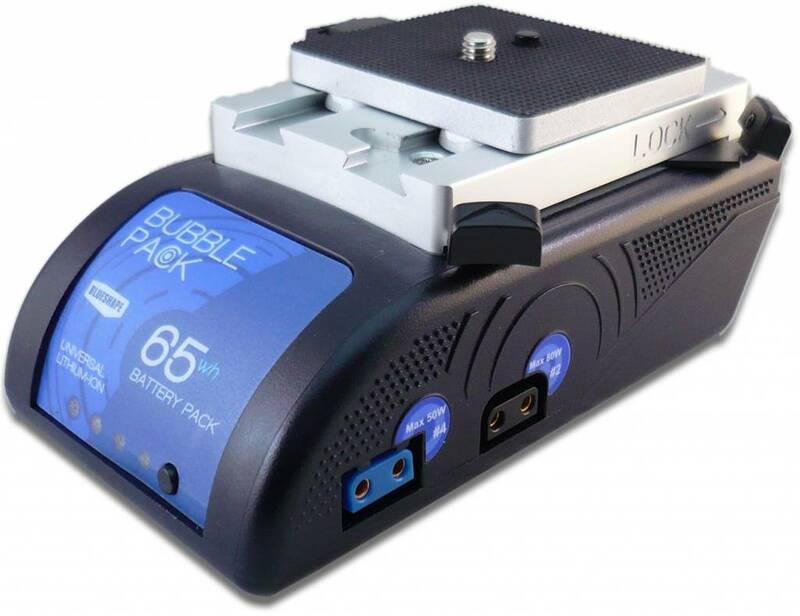 The rigging options revolve around a rail plate attached on top of the battery and a 1/4"-20 thread available on the bottom. 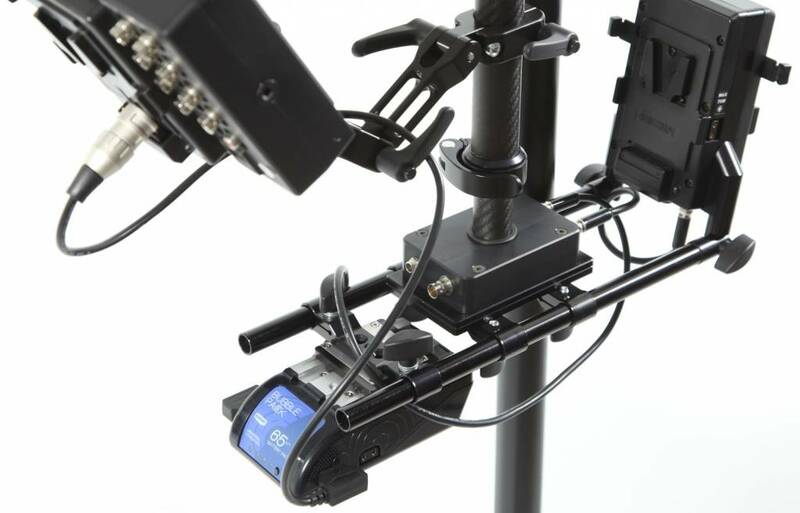 A mini camera plate is included to be attached on the bottom of your camera, cage, or various rod clamps, and the BUBBLEPACK simply slides onto this plate via the rail plate. 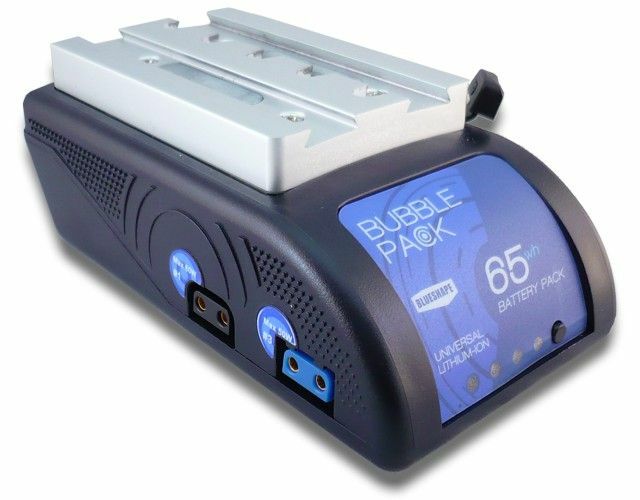 The 1/4"-20 thread on the bottom of the BUBBLEPACK allows you to mount the battery along with your camera or rig on a tripod, securely with up to 7 lb of load. 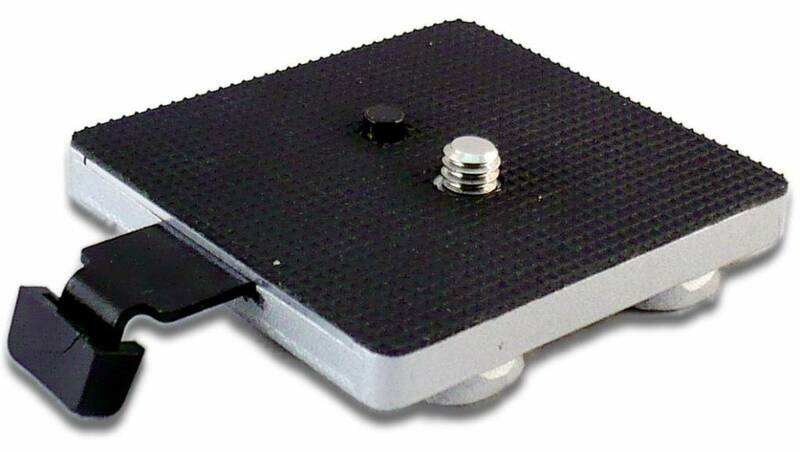 A quick release handle on the side of the rail plate lets you slide the BUBBLEPACK off.